Just the other day we shared ‘The Role of the Income Methods‘, and presented the goals for using an income method to reduce risk, lower cost basis or generate premium – even presenting ideas for 3 of the 12 Income Methods in The Blueprint. You can check out the replay HERE. BUT First! Let’s talk a little bit about Income Method #4. This particular income method can reduce your risk quickly and it is a great example of how the protective put is not just insurance but a 2nd working asset that can be manipulated. This reduces the at risk by -$2.65…much more than he could have gotten by just selling the NOV 95 call. This is just one of about 6 ways the Protective Put can be manipulated to Lower Risk in the RadioActive Trade. That’s OK, because during that same time frame he gained $5.10 on the stock. That is a fair trade off for insurance. The Extrinsic or Time Value of $7.22 is the true at risk on this initial RadioActive Trade. What do we know about Time Value? Well, it decays over time. 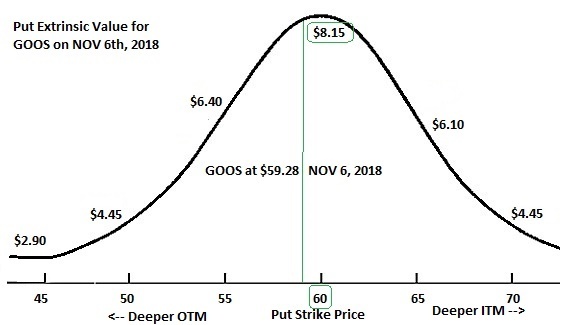 When you buy an option you expect the Time Value to decay day by day, right? 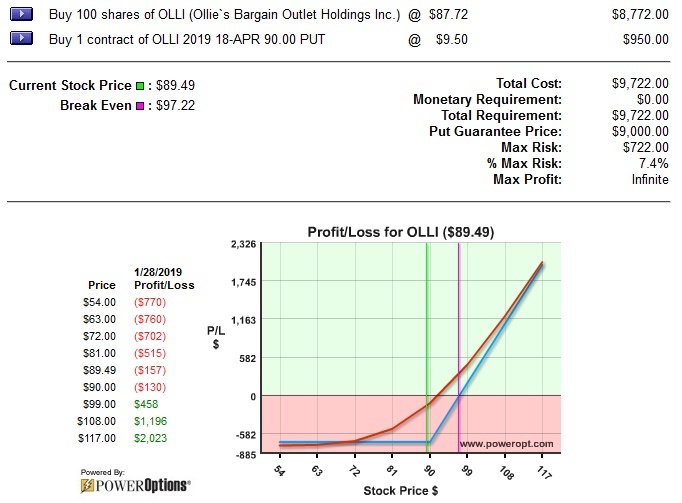 Well, on October 30th when OLLI was at $92.82 the APR-90 put was Out of the Money. There was no Intrinsic Value – only Extrinsic or Time Value. And that was at $7.40. Well, this was only 4 days of time passing. You might say: “That $0.18 increase is just noise, and was likely due to an increase in Implied Volatility or a wide bid-ask spread”. The Implied Volatility (IV) did not have a significant change. Yes, the put declined -$4.65…but the stock gained $8.55. A fair trade. Though not exactly the right time for IM #4 (See The Blueprint), it could be used to cut the risk down to only 3.2% – more than half of the 6.6% initial at risk in a few weeks. The Position could actually be Bulletproofed heading into earnings on NOV 8th. 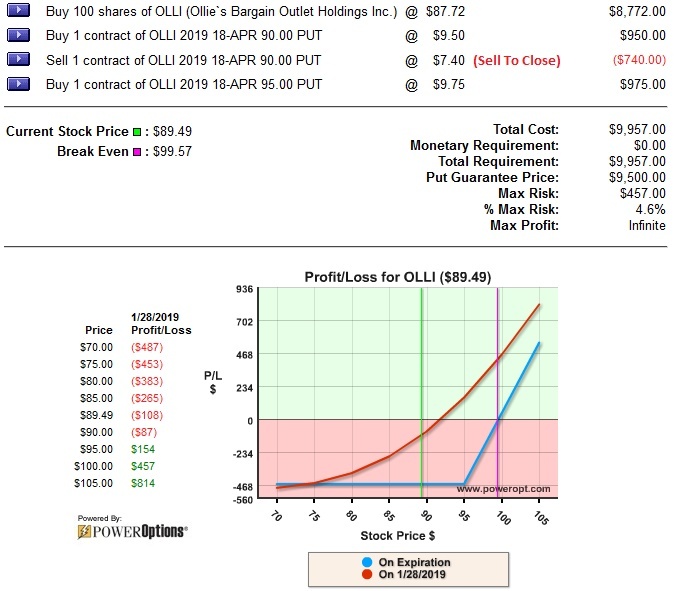 You have purchased a 2nd asset (the put option) that can be adjusted several ways to help you lower risk, lower cost basis, potentially Bulletproof the trade or have a structure that can profit in both directions. And…that is just 1 of the 12 Income Methods we use for RadioActive Trading. Of course, the when’s, why’s and how’s to do any Income Method properly are only available in Your Blueprint!